Monique Coleman rose to fame after portraying the iconic role of Taylor McKessie in the High School Musical movies, and now she’s using her platform to empower youth through her new show, Gimme Mo. 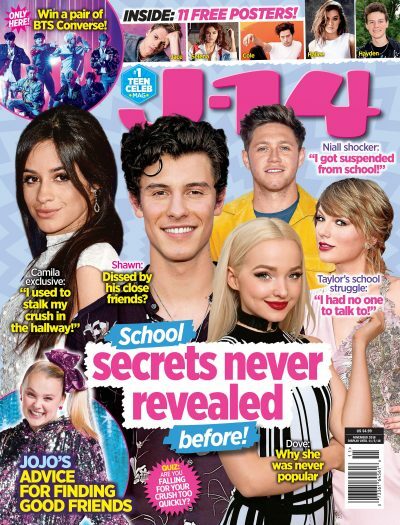 We caught up with Monique, and she spilled to J-14 all about why she thinks HSM has truly stood the test of time – especially one particularly profound quote from Troy Bolton (AKA the one and only Zac Efron). Watch the video above to hear Monique fangirl over her favorite HSM moments and discuss the lessons that still hold true today. Seeing as the movie-musicals are arguably the most legendary Disney Channel Original Movies in history, it goes without saying that HSM changed Monique’s life. The 37-year-old star was in her early twenties when the movie first premiered, but despite all the time that’s passed, there’s still a very special place for HSM in her heart. But believe it or not, she wasn’t a fan at first. “I’m now a fan. To be honest, when it started, I wasn’t. I was 24-years-old. It was exciting, but it was also still kind of like, yeah, this is cute. And that’s just the truth, you know?” the star spills. However, she now appreciates the important messages in the movies. “It’s so true. You don’t have to choose between being an athlete or being a mathlete, like you can be whatever it is you want to be. There’s time and room to do all of it,” Monique explains. Another important message Monique loves from the films? Putting yourself first.